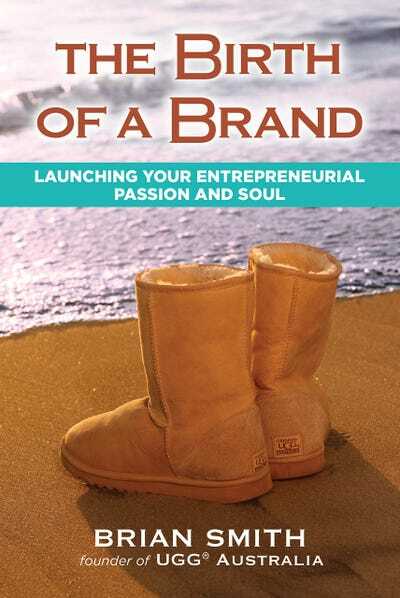 No one knows this better than Brian Smith, founder of Ugg Australia and author of “The Birth Of A Brand,” who worked tirelessly for years to make the now ubiquitous sheepskin boot part of American culture. Though Uggs can be found in every mall in America these days, they didn’t start out as a hit. After ordering his first samples in 1979, Smith spent months travelling door to door pitching the boots to surf shops and selling them out of a van at surf competitions. By the mid ’80s, the trend caught on, elevating Smith’s idea from a small business to a multimillion-dollar company. He ended up selling the business to footwear company Deckers in 1995 for an estimated $US14.6 million, but Ugg is still thriving and can still be found at most major retailers today. Smith ran into several major obstacles while building Ugg, including the fact that it was only popular in the winter and that Americans didn’t understand the durability of sheepskin in any weather, making it a hard sell as a winter shoe. But his lack of prior knowledge is what kept him going. “Had I known about all these barriers and roadblocks, I would have given up,” he says. “The ignorance is what made it happen.” Going in blind forces entrepreneurs to believe in their product no matter what hardships they come up against. If you truly believe in an idea — and you stick with it — eventually other people will believe in it, too. “Perseverance is what you need because there’s a tipping point, and if you can make it to that period, everything else sort of flows,” Smith says. When Uggs didn’t catch on at first, Smith had an easy out: He could sell off his remaining inventory and cut his losses. Instead, he committed himself, personally pitching Uggs to surf shops and working odd jobs during the off-season to keep himself afloat. Soon enough, he reached the tipping point, and Ugg caught on as a national brand. In an effort to appeal to the same wide audience that department stores commanded, Smith created glamorous magazine advertisements featuring models frolicking in Uggs. However, after several months, the ads had failed to gain traction, so Smith asked his surf buddies for feedback. Their thoughts: “Those ads are so fake! Those models can’t surf!” Smith realised his ads weren’t appealing to his core audience, and he started featuring up-and-coming surfers in the boots, using pictures he took himself for the ads. Within two months, sales climbed from $US30,000 to $US400,000. Getting as many people as possible to see and buy your product is a logical way to gain success. However, it’s impossible to immediately appeal to a mainstream market — you have to start with a small audience and grow outward from there. Smith started out pedaling his boots to major retailers, such as Nordstrom, in hopes of reaching a mainstream audience. However, he failed to realise that he needed to get them in the smaller, niche surf shops first since his product was originally targeted specifically at surfers. Once the shoes started gaining popularity with an authentic surfer audience, they started to catch on with those outside the surf crowd as well. Uggs didn’t start out as high fashion, they had to work their way up from niche surf shops. In the mid ’80s, Smith brought on new investors, with each holding equal shares of the company. Smith soon realised that with his now reduced 25% equity stake, he had lost control of the business. Still, he stuck with Ugg, and began working as a salesman, slowly earning more and more through commission and eventually returning to the corporate level. Because he truly believed in his product, he was willing to do whatever it took to make the company successful. Smith’s No. 1 rule for entrepreneurs is to love what you do, which means stepping back when it comes to the tasks that remove the joy from a project. Yes, every entrepreneur will be faced with unglamorous tasks they don’t want to take care of, but it’s important to know the difference between little annoyances and major responsibilities. For Smith, this meant delegating administrative work and focusing on his strengths in sales. Instead of forcing himself to fill a role he’s not meant for, he passes it on. Even though it might be difficult to hand off part of your pet project to someone else, successful entrepreneurs recognise when they aren’t the best person for the job and pass it on to whoever that may be.